How Old Do You Need to Be for Ear Surgery? Home/Blog / How Old Do You Need to Be for Otoplasty? Prominent ears that stick out further from the head than desired, or that sit at an unusual angle, can be a source of discomfort for many people. This common condition can be addressed in childhood to minimize the risk of teasing and bullying by other children. Treatment can also be performed in adolescence and adulthood for individuals that never had the procedure in their youth. We typically recommend that patients wait to consider otoplasty, or ear surgery, until the ears have finished growing, usually by first grade or the age of seven (to limit risk of teasing). 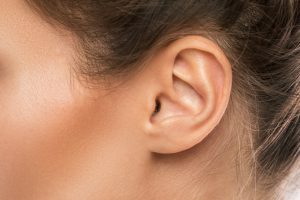 As a top plastic surgeon, Dr. Charles Perry utilizes the most advanced techniques available to adjust the position of the ears closer to the head with few if any noticeable scars. Recovery is often just one to two weeks, although children should be monitored during healing so they don’t cause damage to the ears when playing or sleeping. During your initial consultation, Dr. Perry will go through each step of the process so you can make the best decision for you and your family. Don’t let the size or shape of your ears limit your confidence. Ear surgery can help patients of all ages feel greater self-worth, so please talk to our medical team today if you’re ready to learn more.